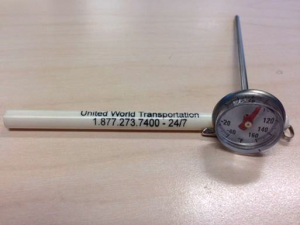 A pulp temperature thermometer is one of the most necessary items in a driver’s toolkit, along with a pen, notepad, and camera equipped mobile phone. A pulp temperature thermometer is a mandatory tool for all produce loads; All UWT loads MUST be pulped at all pickups and deliveries! As per our Carrier Loading Guidelines, UWT instructs each and every driver to, at the point of loading, pulp the product that they are picking up and record the temperature on the bill of lading (BOL). If access to the loading dock is not allowed, drivers must record “shipper load and count” on the BOL. The reason for noting either one of these events on the BOL is that it can help protect the carrier if any issues arise upon delivery. It is critical that if the pulp temperatures at any of the pickups are any different than what is written on the BOL and/or on the UWT Load sheet, the driver MUST contact UWT immediately, prior to leaving the shed. We can then take the appropriate action and advise all interested parties. The same instructions go for the delivery stage – drivers must record product pulp temperatures on the BOL at the time of each delivery. If drivers do not have access to the unloading dock, “receiver unload and count” must be written on the BOL. This will further help protect drivers; our primary goal is to prevent exposure to claims and other additional costs. 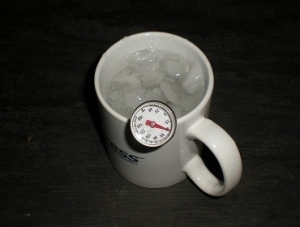 The temperature of the glass of ice water should read 32F at any elevation (i.e., at whatever level you place the end of the probe in the glass). As a general rule, a pulp thermometer that reads 32F in ice water is fully calibrated. Note that for digital thermometers, it is best for a driver to refer to the manufacturer’s directions for calibration. Place the thermometer in the glass to ensure it maintains that reading. Check out our instructional video, where we took a few minutes with TC Trans’ Vice President Chuck Schamel to calibrate a traditional dial and probe pulp thermometer. In the video, Chuck has his mug of ice water and expertise ready to go! 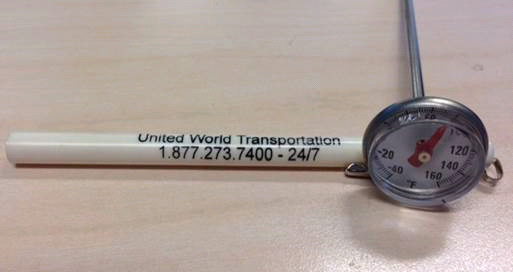 So, pick up your UWT pulp thermometer at TC Trans today. They are FREE*!!!! Our pocket temperature thermometers feature a 15 second response time and a magnifying lens, and can be used from -40°F to 160°F. They have a +/- 2F (1%) accuracy, and come with a pocket clip. They also feature an accompanying sleeve for protection. Make sure to wipe your thermometer with a clean moist cloth after each use, and protect it by keeping it in the sleeve. 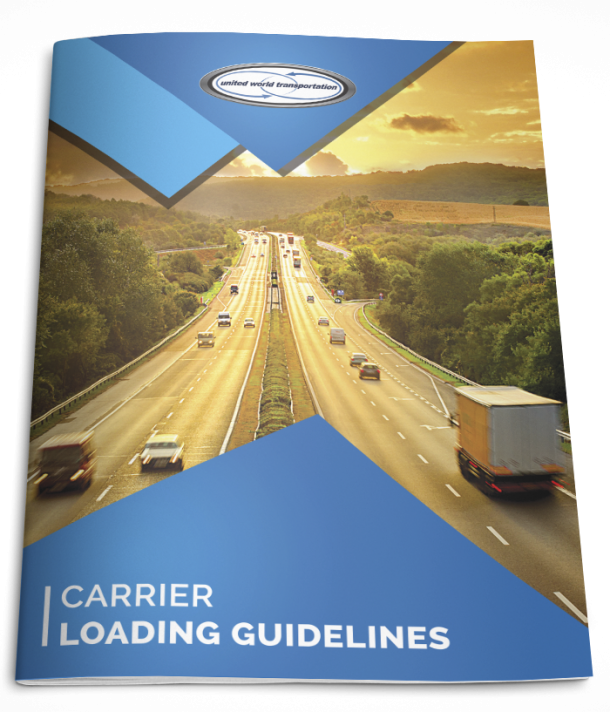 And while you’re at TC Trans, don’t forget to also pick up copies of our Carrier Loading Guidelines and Product Temperature Guidelines Brochures, both are a great resource when out on the road! !